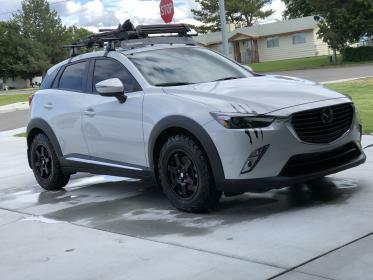 I am looking to buy a cx-3. Let me know who is selling. Preferably in South Bay area, but I am willing to pay for shipping if deal is good. Last edited by richyboycaldo; 09-14-2018 at 01:05 AM. I am willing to pay for shipping from anywhere in U.S if deal is good. I can't believe they are so scarce. Have you tried Kijiji or AutoTrader? If all else fails, you can have mine for $40K. I'll even let you keep the fresh Canadian air in the tires. SlyCoopers, Jroper and PandaG like this. I don't to have to import it from Canada. I am guess I am going to have to wait a few more months for everyone to trade in their 2016s for the 2019s. Bump. I am still looking. I second this, WHERE are YOU located... Most people don't want to mess with shipping so give us YOUR location and perhaps you will get one somewhere close to you. You have a sweet ride. I wish I would have 23k. That is way more that average market value though, but your accessories are nice.